Nailed a pothole in my MK6 GTI this morning on the commute and blew my FR tire. I’m on Detroit wheels. I live in Boston proper (also where I hit the pothole - such lovely roads here) and commute 14-20 miles round trip M-F.
I’m currently going back and forth with a guy on CL for 4 General Altimax Arctic s on steelies for $125. He says they’ve got at least one season left in them. I don’t care about how dingy the wheels look either. My question is, what would you do? 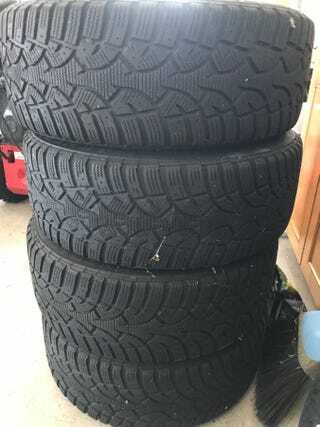 A. Craigslist winters B. replace blown tire with same/similar tire (Yoko Avid Envigor). Both are nearly the same price.